Smaller kitchens need smaller appliances- there’s no questioning that. But most of the microwaves available may be too big to fit into a kitchen with limited space. Given the scope of convenience microwaves offer, you wouldn’t want to be without one. So, you can look into a miniature version of the standard microwave to help you out. Here are some of the best compact microwaves available to fit into your small kitchen. Why choose a small microwave? Setting itself apart from other microwaves in the compact category, The Daewoo KOR-7LREM brings back the retro look. This compact and cute unit is something that will instantly brighten up your kitchen space. But don’t be fooled by its “down-memory-lane” appeal, for this unit can do everything that contemporary microwaves can do and just as well. The Daewoo KOR -7LREM comes equipped with 5 power levels, 4 autocook menus and a two-way defrost function. It is a simple little piece that will sit comfortably on your countertop but still demand attention from anyone passing by. 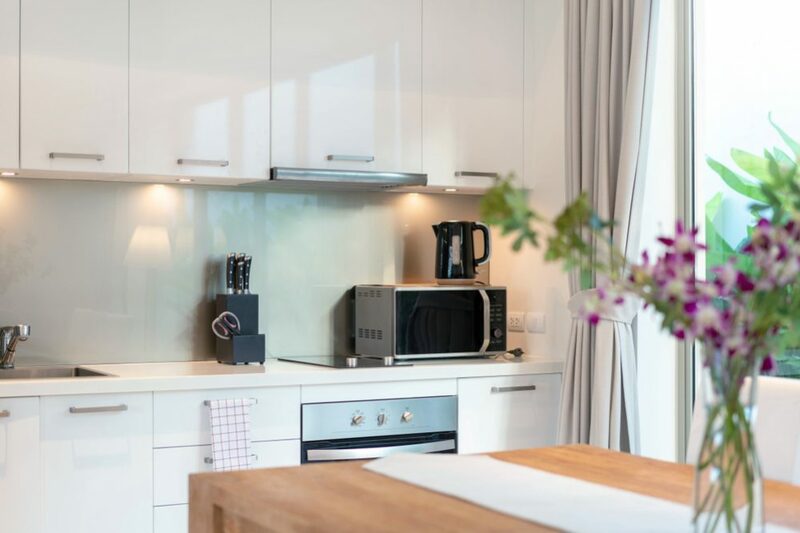 Compact microwaves, just like their countertop counterparts, are standalone units that don’t require any installation and can be placed just about anywhere where there is an outlet. These small appliances are often less than 18 inches wide on the exterior with the most compact models being no more than 12 inches deep. The most typical heights for compact microwaves can range between 10 and 18 inches. But why would you opt for such a small version of this handy appliance when standard microwaves will give you more capacity to work with. Here are some reasons why. A small microwave is easy to transport, letting you take your appliance along on weekend getaways, vacations, and even camping trips. 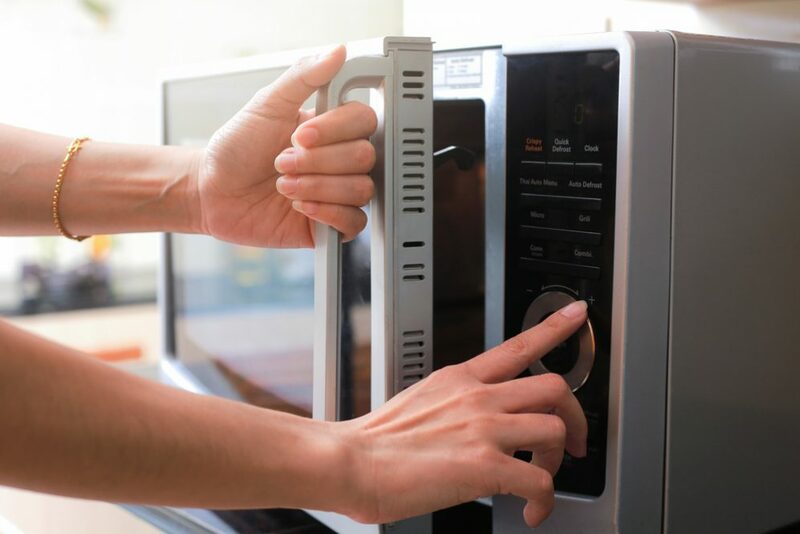 Smaller microwaves are also easier to operate than standard microwaves. Most models come with one-touch settings that are fairly self-explanatory. Granted, they may not be as elaborate as those found on bigger models, but they suffice well and get the job done. With easier to understand control panels, the operation gets simplified a lot. Compact microwaves obviously weigh much less than standard versions which adds to their transportability. It also means that these models don’t take up as much energy as bigger models do. But if all you’re looking for is daily reheating and thawing properties, you will get these with your small microwave. For most users, a smaller microwave acts as a helpful side-kick that expedites their cooking tasks. Some of the features are staples meaning you can’t have a functioning microwave without these while others are variables or additional. Here are the most non-compromising features you must have in your microwave. Functions can vary significantly on a small microwave. For instance, some models may only cater to peripheral needs such as reheating sauces, steaming vegetables or preparing a hot drink. Others will work for much more, but only on a smaller scale than a standard sized microwave given their limited capacity. So, think about what functions you want your microwave to offer. Do you simply want to warm up a cup of tea or reheat leftovers in the machine or do you actually want to engage in some cooking as well? This will help you look for a model suited for your kitchen. In terms of preset programs smaller microwaves also offer pretty much the same options as their larger counterparts. Most models come with 5-8 preset options to get you started on your way. Things people often want most in preset options include making popcorn, potatoes, vegetables, beverages, reheating and defrosting based on either time or weight. These are fairly standard while some others may also include preparing pizza, rice, and even dinner plates. Power will obviously be not as strong as that on larger microwaves with the standard being around the 700-watt mark for compact microwaves. However, there are some models that go up to 1000 watts, and these will likely boast a few extra inches on either side of their dimensions. So, if you’ve got the space to accommodate those extra inches and want something more from your microwave, by all means, consider these larger varieties in the compact microwave niche. 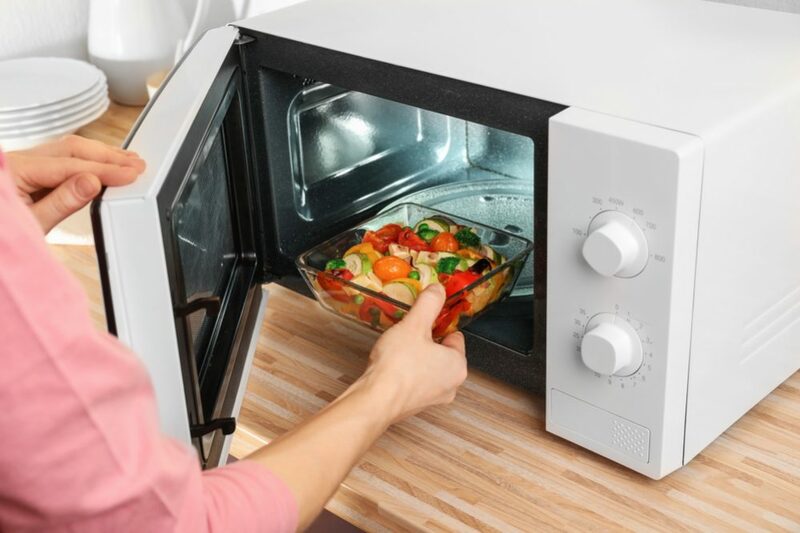 These are features you may find more easily in standard sized microwaves, but some companies have introduced them in their compact versions as well. These compact microwaves will be towards the higher end of prices in this category but definitely make your appliance deliver so much more. Many small microwaves pack a punch of technological features in them. These can include voice command, Wi-Fi connectivity, and even smartphone control. However, these features will come at a cost and drive the price point of the unit higher. If budget is not a problem, you can find a model that includes these features as well. 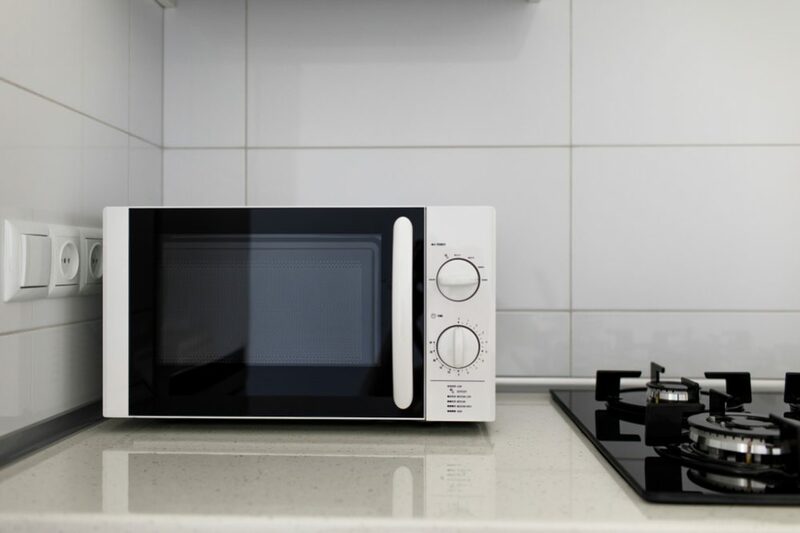 Since compact microwaves are fairly basic, this feature won’t present itself in every appliance, but can be found in more expensive or advanced models. What this does is automatically change power levels during cooking. This ensures that the food is cooked in the quickest time with no breaks in between. You won’t have to manually switch modes, but your microwave will do it for you. Once again this is more of a feature found in larger microwaves, but some advanced compact versions also offer this convenience. Typically, these compact models will come with wattage higher than the standard 700 marks and may go up to 1000 watts with a capacity between 1.0 Cu ft and 1.2 Cu ft. The two-level cooking function allows users to prepare two dishes at the same time. A microwave that uses inverter technology depends on inverters as their main power supply. This replaces the more traditional magnetic coils or transformers. This mechanism is more efficient, using less energy and delivering even heat throughout the cooking process. Even though this sounds like something only larger microwaves can handle, that’s not the case. Even compact versions from brand leaders in the industry have come up with smaller models that offer this feature. Maintenance tips for your compact machine overlap with those of standard models. Wipe your appliance regularly, preferably after every few uses. Only use warm soapy water to remove grease or food from the interior. Keep a close eye on the door seal areas where more residue is likely to collect. Inspect microwave oven door and hinges for corrosion. Always have your appliance unplugged when cleaning. 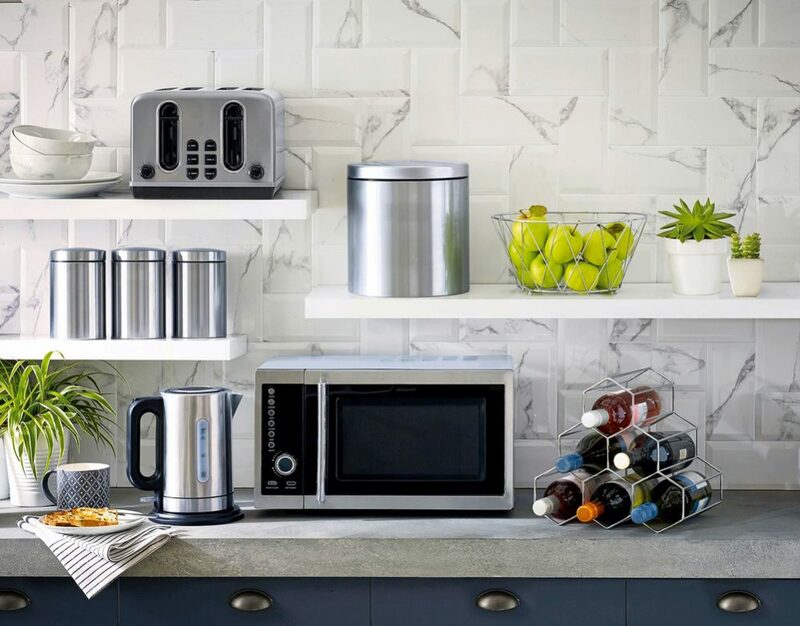 This stylish stainless-steel compact microwave from Panasonic is easy on the eyes and won’t fail to make an impression sitting on your kitchen countertop. The size of this unit is restricted to 11 X 19.3/16 X 14.3/16 inches which can sit comfortably on the smallest of countertops. The interior capacity is 0.8 Cu Ft. with a turntable sized 11.2 inches. You can easily place a 10.5-inch dinner plate or anything smaller inside. Featuring a plethora of impressive functions, the NN-SD372S comes with a Keep Warm Function letting you use low-pulsing power to keep foods warm for as long as half an hour without cooking them. Also included are Auto Heat, Auto Cook, Power Level, and Inverter Turbo Defrost Buttons. You also get access to a Quick Minute Button that lets you add the time in increments of one minute up to an extra 10 minutes to the warming process. The door opens with a convenient square release button and is paired with a child lock mechanism which is a useful safety feature. This range of cooking and warming features makes meal preparation a cinch for users. The Inverter Technology feature in this microwave helps to heat the food fairly evenly every time while delivering a seamless stream of cooking power. 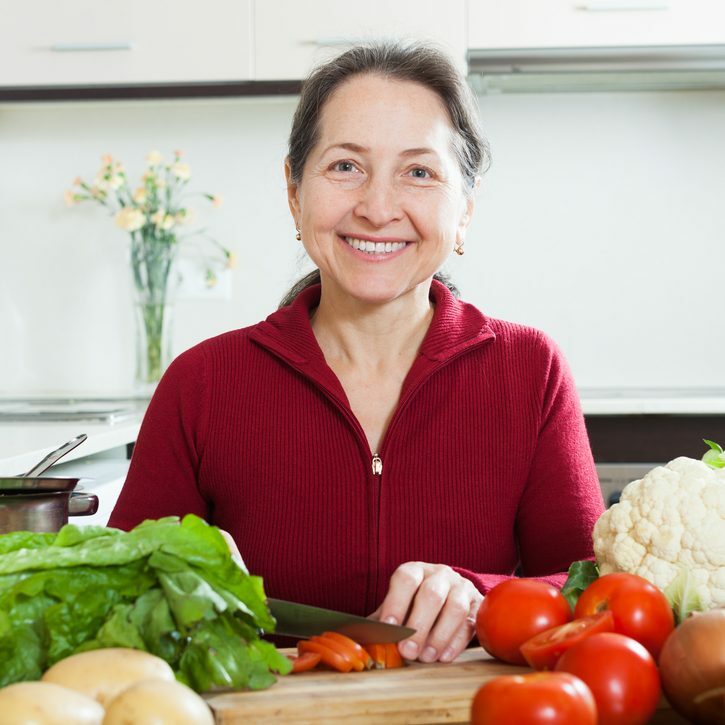 Even delicate foods like vegetables and eggs will receive the right heat level to not over brown the edge or overcook the surface, leaving the insides underdone. Working at 950 watts, there is no concern overtaxing your power circuits. The control panel on this unit, however, can be tricky to maneuver. In place of the preset buttons generically present on compact varieties, this microwave exhibits long, horizontal buttons paired with a pop-out dial for time or weight settings. While not impossible to navigate, the control panel does involve a bit of an initial learning curve. Despite its compact size, users don’t need to settle for fewer features as this model is equipped with lots of options. This is another compact yet fairly versatile microwave that offers surprising functions given its small size. There are six one-touch cooking options on this unit that take care of all your basic cooking and heating needs. With six presets you can’t go wrong if you have to do other things while your food cooks. This Danby model has a capacity of 0.7 Cu Ft. making it one of the smallest microwaves available in the current market. It is ideal for small kitchen spaces, studio apartments, dorms and anywhere else where space is limited. The microwave measures 13 X 17.3 X 10.18 inches and will fit in nicely on any countertop available. Running on 700 watts, this microwave is better suited for reheating leftovers and beverages. It can also accommodate cooking frozen meals or thawing frozen items such as veggies and meat. There are ten different power levels to choose from which gives this microwave sufficient functional versatility. Users get the choice to choose from very gentle, low powered jobs such a softening butter to full power for heating up drinks quickly. This is a user-friendly unit with a simple to navigate control panel. There is an easy to read LED timer /clock and standard function buttons. The Danby rests on four legs supporting its 23.5 lbs. weight steadily on table or countertops. On the inside, the Danby DMW7700BLVD features an automatic oven light and turntable. Given its small size and lower power, this item is ideal for single users, students living on their own, and office use where there is no heavy-duty cooking involved. If you have a larger family to feed, this product won’t make the cut for you. This no-frills design may not have a lot to offer in terms of wattage and size but offers sufficient quick cook features to make it a worthy kitchen assistant. This unit comes with a one-year warranty covering parts and labor. This Westinghouse model features sufficient power and a small footprint for limited cooking spaces. Presenting 10 power levels and six preset options, this compact microwave will serve well in settings where there aren’t multiple users and most of the tasks involve reheating frozen foods and leftovers. Working with the Westinghouse name and 700 watts of power, you can use this appliance to tend to your daily cooking and reheating needs. This unit comes with a simple control panel with keypads to run you through your available options. The LED display gives a visual of how much time is left while keypads lend the option of inputting exact cook times lending precision to all your cooking tasks. The One-Touch Quick Cook Menu Buttons on this model include Potato, Popcorn, Beverage, and Pizza along with the Reheat and Frozen Food functions. The quick cook feature takes the guess work out of accurate timing and lets you enjoy your foods at just the right temperatures. The WCM7700 measures a convenient 18 X 12 X 12.3 inches yielding a capacity of 0.7 Cu Ft. This can easily accommodate microwave dishware of up to 9.5 inches which scores well enough for interior space. Displaying the right aesthetics for small spaces, and user-friendly cooking controls, the Defrost by food weight or Speed defrost features are great for added convenience. With just the right size and the right functions, this is a small, lightweight, saving grace when you want to speed up your cooking repertoire. It is ideal for busy people who need quick fix meals before they head out the door. On the flip side, the unit tends to slide around on the countertop when opening or closing the door. The turntable also tends to slide off its circular track easily so you need to be careful when handling your dishware. Although still on the smaller side of things, this Cuisinart model is the biggest of all compact microwaves featured here. It has an inner capacity of 1.0 Cu Ft, and works with a powerful 1000 watts. This model features 25 pre-programmed settings, lending you a huge helping hand in the kitchen. There are 8 preset options to get you started on any cooking task. Its 2-stage cooking option is highly convenient as it allows you to switch from one mode to the next with no breaks in between. Say, you want to defrost something for 20 minutes, followed by cooking it for 10 minutes. This Cuisinart model lets you do just that and yield perfect results every time. You also have the option of defrosting food by weight or time. The turntable measures 12 inches across which is large enough to handle most everyday dishware. The interior boasts a stainless-steel finish which is unusual for microwaves but is particularly easy to clean. Stainless steel is also nonporous so there is no concern for the appliance absorbing odors or moisture on food particles. Instead of a release button, this Cuisinart model comes with a pull handle which acts as a plus point with many users. With these dimensions, this microwave can easily fit into small cabinet cubby spaces if you want to keep your countertop space free. The cooking mechanism on this unit is even and quick with many convenience features. Despite its simplicity, this unit still provides plenty of preprogrammed heating options. Given all its great features, there are still some drawbacks which present themselves as a turntable that is a little squeaky. Flaunting a retro look and feel, this Daewoo compact microwave was designed to make a statement. Working with 700 watts of microwave output, the Daewoo KOR-7LREM has 5 power control levels, 4 autocook programs and a zero standby “ECO” function. That packs a lot of versatility in such a small package. Measuring 12.7 X 17.6 X 10.6 inches this microwave has holds a capacity of 0.7 Cu Ft which is sufficient for single users, students living in dorms or the lunchroom at the office. This model comes with a handle instead of a release button and a knob for setting the time. There is a child safety lock mechanism to prevent any mishaps from happening. There is an internal light that turns on when the microwave is running but not when the door is opened. The turntable is 10 inches wide, able to hold most daily dishware types. The heating mechanism is promising as this tiny yet effective microwave does a fairly good job heating foods quite efficiently and evenly. Likewise, its defrost function is equally commendable as it defrosts evenly without pre-cooking the food. That said, with only 700 watts of power, this unit is made for basic cooking, reheating and defrosting needs. Do not expect it to cook up a three-course meal for you as it’s not meant for that. This is something that is engineered to handle everyday, light tasks to expedite your time in the kitchen and nothing more and it satisfies in this regard. While the Daewoo wins accolades on its performance, it does lack a few things in manufacturing. For instance, there are plastic components in this unit that make it less sturdy than it really should be. The buttons, in particular, could have been better quality and the underlying switches tend to wiggle when pressed. So, if you’re looking for basic at its best, then add a burst of personality and color to your surroundings by making this Daewoo model an essential part of your kitchen. If compact is truly what you’re aiming for then microwaves don’t really get any more compact than the Daewoo KOR-7LREM. Despite its minute size, this microwave does everything it promises and much more. You can easily handle all of your daily kitchen tasks with the help of this compact microwave. What genuinely sets this model apart from so many others in this category is its retro design and nostalgic appeal. So, to pack all the essentials of a compact, lightweight and economical unit, look no further than the Daewoo-7LREM compact microwave.